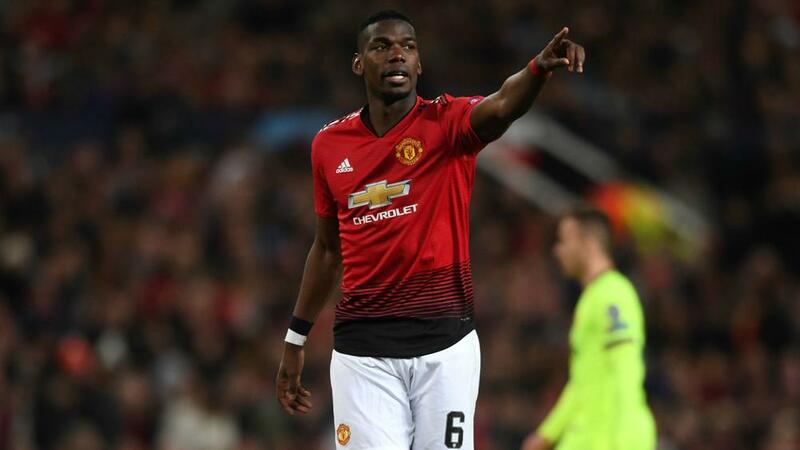 Ole Gunnar Solskjaer insisted Manchester United star Paul Pogba is unaffected by growing speculation linking him with LaLiga giants Real Madrid. Talk of a move to the Santiago Bernabeu has intensified since Pogba said it would be "a dream" to play for Madrid following Zinedine Zidane's return last month. The flirtation continued as Zidane voiced his admiration for the 2018 World Cup winner, who was a target for Madrid prior to him joining United from Juventus in 2016. However, United manager Solskjaer said Pogba is committed to the club's cause this season amid the ongoing rumours. "There might be a campaign, there might be press. You never know what there is. But in my talks with Paul he's always been positive," Solskjaer said. "After 15 minutes [against Barcelona in the 1-0 Champions League quarter-final first-leg loss on Wednesday], yeah we can speak about Fred and Scott [McTominay], but I thought Paul made us play. Pogba has scored 11 Premier League goals – and nine assists – and 14 in all competitions for United this season. United are sixth and three points adrift of the top four ahead of Saturday's clash with West Ham at Old Trafford.